British astronaut Tim Peake has sparked an orbital kerfuffle after he tweeted a picture showing a crack in the International Space Station's window. It was caused by space debris. Before everyone jumps into their emergency escape pods however, it's worth noting that the windows on the ISS are quadruple-glazed with layers of transparent aluminum ceramic composite glass. There's an inner layer to protect against astronauts scuffing up the windows, two 25mm-thick pressure glass panels, and a thinner outer debris panel. It's the last one that got dinged. For additional protection the cupola also comes with sliding debris shields that can be rolled down when the observation area is not in use. The ISS also carries spare window panes that can be fitted by astronauts, once the unit has been sealed off and depressurized – but that's considered a last resort. As to what caused the crack, the European Space Agency said it was probably a fleck of paint that had been shed from an old satellite or booster, or possibly a small metal fragment around a few thousandths of a millimetre across. How is that possible? Because they are travelling very, very fast, and impart that kinetic energy to whatever they hit. What's more worrying is that a larger piece of space junk, around one centimeter across could do more serious damage – possibly disabling a satellite or outside instrument on the ISS. Anything larger than 10 centimeters could "shatter a satellite or spacecraft into pieces," said the ESA. Nearly 60 years of space exploration has left the orbital pathways around Earth littered with junk and the situation is getting worse. In 1978, NASA scientist Donald Kessler hypothesized that unless steps were taken debris could reach a critical mass, destroying satellites and thus creating a permanent destruction zone that would make space travel highly hazardous, if not impossible. The Kessler Syndrome was used as the basis for the hit film Gravity but it is a real issue and one that worries space scientists. 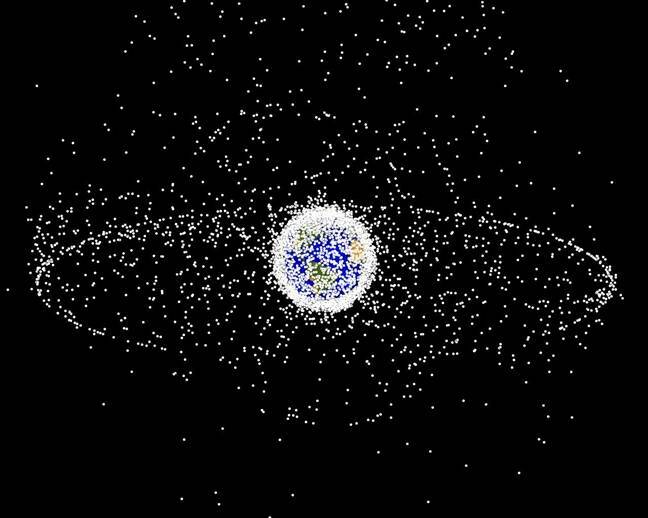 Plans are afoot to launch orbital garbage collectors to deal with the problem. These are still a long way off however and funding is an issue. The US and Russia produce by far the most orbital debris but neither has shown much willingness to clean up the mess. ESA suggests in the meantime people try to be tidier when leaving the gravity well. "ESA is at the forefront of developing and implementing debris-mitigation guidelines, because the best way to avoid problems from orbital debris is not to cause them in the first place," said Holger Krag, head of ESA's Space Debris Office.